The Friends of the University of the Northern Iowa Museum was established in October, 1982. The goal of the Friends of the UNI Museum is to help the UNI Museum accomplish its goals through promotion, fundraising and volunteering. The mission of the UNI Museum is to serve as an educational resource with the purpose of supporting the independent pursuit of knowledge of UNI students, researchers and the general public with diverse collections, ongoing research, innovative exhibits, and alignment with academic programming. One goal is to support the museum with specific additional student education. The Friends have funded student employment in the past dealing with educational programming and exhibition activities. With the focus on student experiences, Friends saw an opportunity this spring 2018 semester to continue funding three positions to work with staff on collection management and educational programming for campus and community groups. One requirement for each student is to document experiences through a series of blog posts. These will be used to reflect on real world lessons learned. 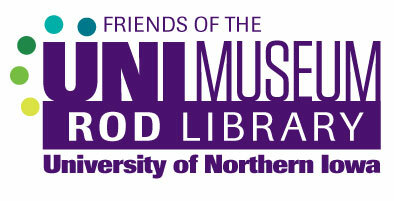 The blog will be utilized to show learning provided through support of the Friends of UNI Museum.